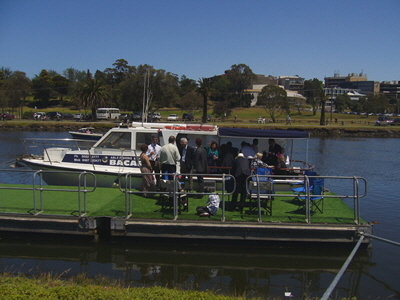 Why not organise a 3 hour river cruise where you will take in all the spectacular sights of Melbourne Docklands and the scenic views of the Maribrynong River. 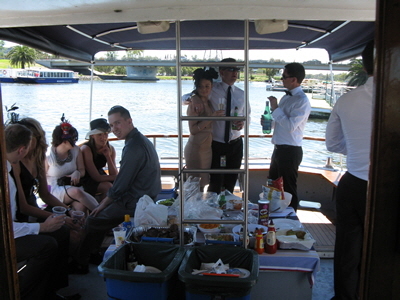 Or if you are looking for something a little different for a work function or special occasion then talk to us about organising a trip up to Docklands or down the coast of the Bay (weather dependent) - and you never know, the dolphins may even be in! There is no better networking opportunity than this! Get a group of your most valued clients to join you on a three hour cruise where you will take in all the spectacular sights of Melbourne's Docklands and the very scenic Maribrynong River. Catering can be arranged or BYO. Grab your friends and come party with us for something different!